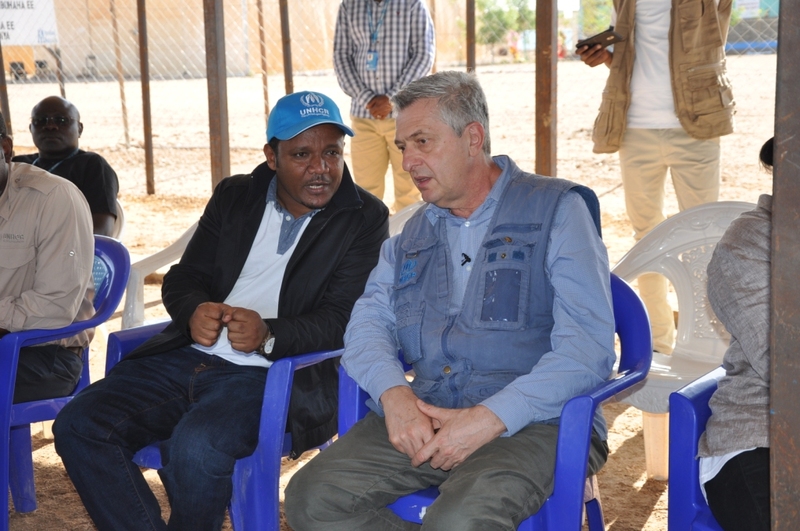 Mr. Addisu kebenesa; Deputy Director General of ARRA Discussing with Mr. Fillipo Grandi, The UN higher Commissioner for refugees. 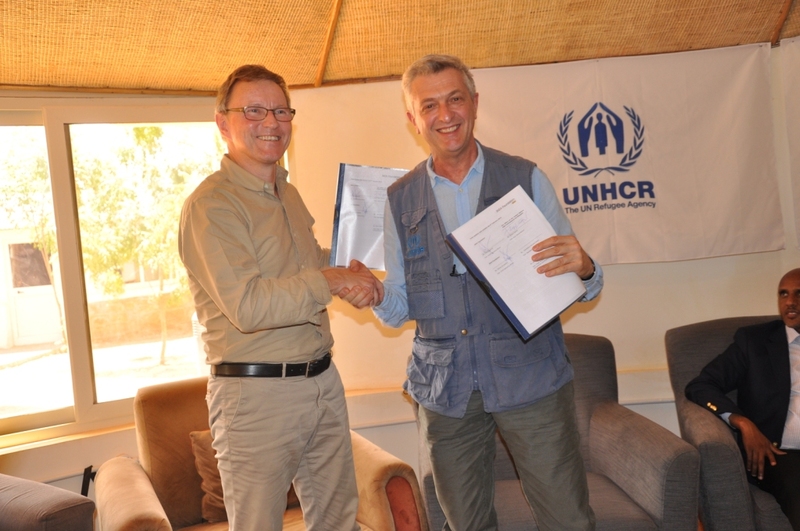 The United Nations Higher commissioner for refugees ;Mr,Fillipo Grandi and Mr.Per Heggenes; CEO of the IKEA foundation together with H.E Mustafa Mohammed Omar; President of the Somali regional state visited the Dollo Ado refugee operation on February 11,2019. 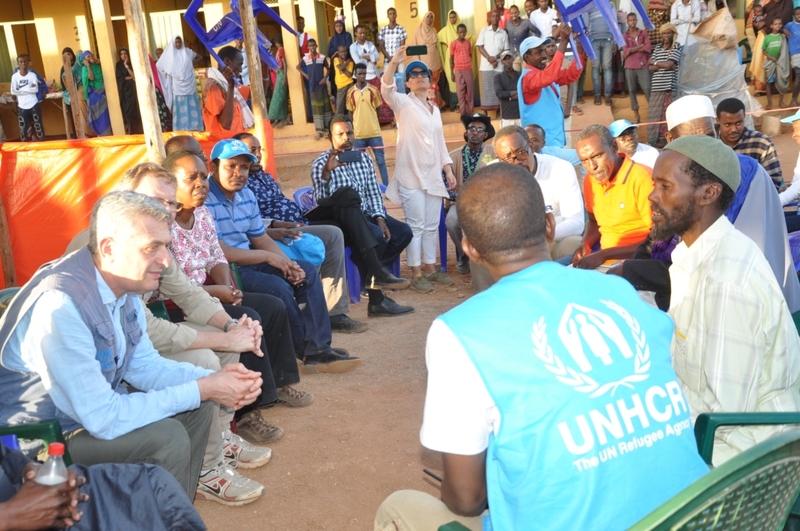 The mission was accompanied by Mr.Addisu Kebenesa; deputy director general of Agency for refugee and returnees affairs (ARRA) and higher officials of the UNHCR and different stakeholders. The mission visited several projects being implemented with the generous funding from the IKEA foundation as part of IKEA foundation supported projects focusing on sustainable improvement of the lives of refugees and host communities. 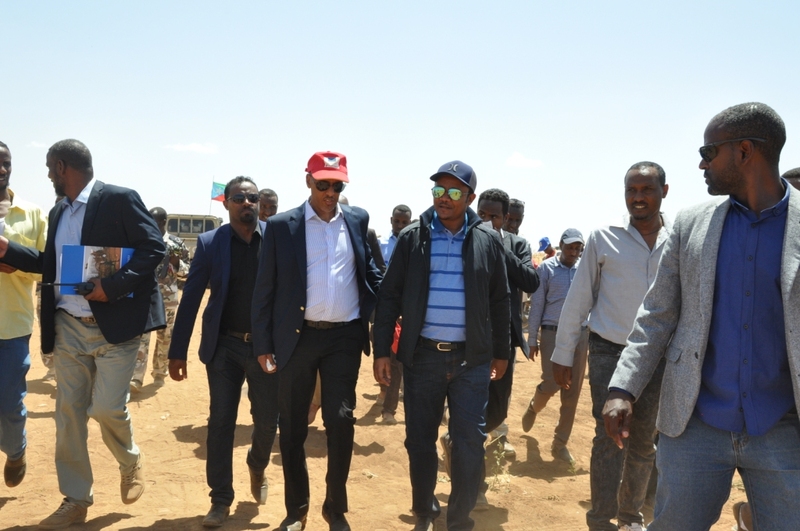 Irrigation projects, schools with well-equipped facilities, markets, and other new innovation projects were some of the areas the mission had visited. The projects realized and showed in reality how the host community and refugees are living in harmony and also changing their lives sustainably. The projects specially from the irrigation and markets has brought a tremendous change in the lives of the refugees and host communities where the refugees and host communities were able to produce different types of fruits and vegetables and sell goods respectively. Mr.Fillipo Grandi stated that “It has been seen in many areas of the world where refugees and host communities live together; however, this is the place where refugees and host communities have shown that they can create and change their lives in reality and what we have seen today is a great model for the rest of the world”. A three years budget has been secured from the IKEA foundation to strengthen the livelihood and other projects benefiting the host community and refugees together.